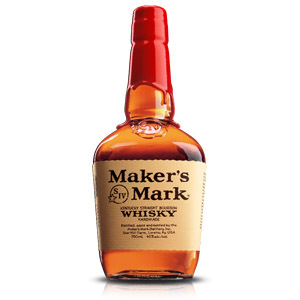 Maker’s Mark is a classic American Kentucky Straight Bourbon. There’s really not much point in my reviewing it – there are plenty of die-hard Maker’s fans that aren’t going to care what I have to say on the subject. 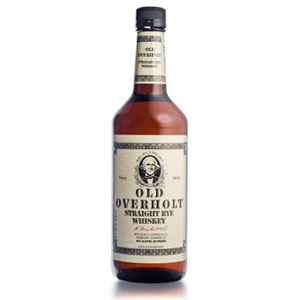 On the other hand, appreciators of a wide range of fine bourbons will continue to think of Maker’s Mark like the Glenlivet of bourbons: decent enough in its own way, maybe worth mixing cocktails with, but something to graduate from. I was curious about Maker’s because it’s a wheater. In a world of high-rye bourbons, a mashbill with wheat instead of rye is somewhat uncommon. The Pappys, the Wellers, Old Fitzgerald, Larceny, and Maker’s. That’s a pretty short list considering the hundreds of bourbon brands on the market. Wheated bourbons tend to be softer on the palate, with more bread-and-cake flavors and fewer spicy cinnamon-and-clove flavors. Maker’s is also distinct for making its own bourbon, not slapping a label on bourbon produced at MGP or KBD (see this post for more on that topic). 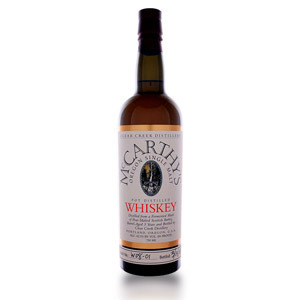 Maker’s mashes “soft red winter wheat” and barley (probably malted for enzymes to kick-start fermentation), along with its corn, and ages the bourbon for around 6 years. Unlike most other whiskies, Maker’s rotates the barrels between upper and lower floors of the warehouse to even out maturation differences. This would make a “single barrel” of Maker’s Mark less likely to be significantly different than the final bottled product. 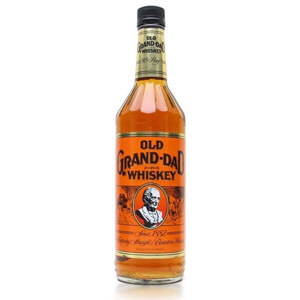 The brand has been around since 1958, when the first bottle was dipped in red wax to seal it. In 2013, Maker’s Mark was embroiled in a little public relations nightmare when it announced that the brand would be reducing its bottling strength from the iconic 45% ABV to 42% ABV, due to production shortages. The media and consumer ****-storm that ensued resulted in the company backpedaling and resuming production of the 45% ABV bottling, thus proving that even in the whisky industry, consumers have a voice. Nose: Classic wheater aroma – soft wheaty grain (like shredded wheat cereal), cherry syrup, and a slight band-aid plastic note. Palate: Thin body, but lots of up-front sweetness. Oaky, with loads of vanilla and dried coconut. A bit of young grain mars the progression. Finish: Brown sugar, corn syrup, charcoal, and a little bit of mouth-drying tannin. With Water: A few drops of water bring a bit of vanilla to the nose, but otherwise have no appreciable effect. Water is strictly optional. Overall: Well it’s a pretty standard mid-grade bourbon. There are no stand-out elements, and even the wheat is only halfheartedly present. I would put this a step or two under W.L. Weller in quality. When mixing a bourbon-centric cocktail, I might be inclined to use Maker’s Mark if I don’t want to shell out for something top shelf. The 45% ABV fills out the flavor and keeps it from feeling thin, which would be an added bonus in cocktails. It would make a killer julep. I’ve given this a ‘Recommended’ rating because as long as you know what you’re getting, $25 for a decent wheated bourbon is not a bad deal. I’d like to point out that this is from a plastic miniature bottle, which does not appear to have inflicted any debilitating effect on the whisky. I’m inclined to think that the previous “bad” bourbons I’ve blamed on the plastic miniatures may themselves (or their specific batches) be to blame. Who knows. MM has been my favorite daily dram for a few years now. 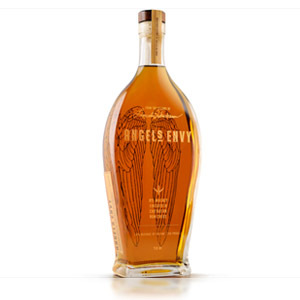 No, it is hardly the bestest/mostest/finest example of wheated bourbon ever to be seen. It is however a readily available reasonably cheap bourbon that I enjoy heartily. My idea of a mixed drink is when I mix whisk(e)y with ice, but MM makes an excellent julep and Presbyterian. Good review, as always (I’ve been a reader of yours for a while now) I enjoy your insights. While MM will never impress a *ahem* whisk(e)y expert, I don’t much care. I drink what I like and apart from not being admitted to the whiskey snob club, I don’t see a downside to this bourbon. I’d love to hear what your thoughts are on Maker’s 46. Makers Mark is pound for pound my favorite bourbon. Makers is the ONLY bourbon I drink. On the rocks in summer and now that it’s cooler, neat with just a drop of water.